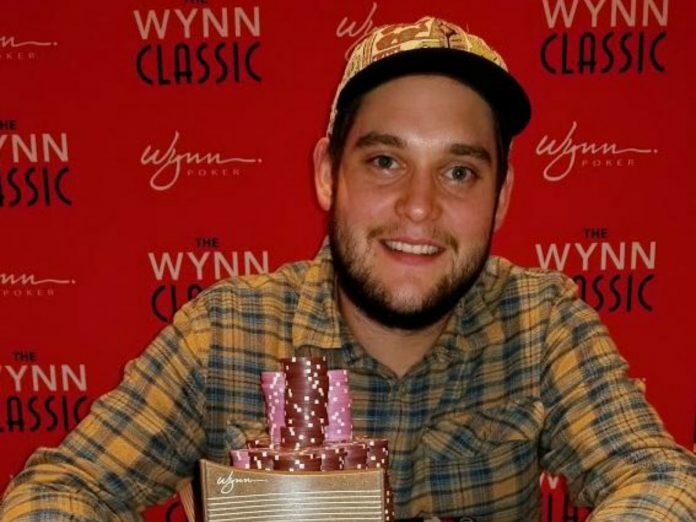 Bryan Piccioli picked up a summer score at the Wynn poker room. Venetian and Wynn continue to pump out big winners in the shadow of the World Series of Poker Main Event. Planet Hollywood joins the six-figure first-place winner party with the conclusion of their championship event. All three venues combine to create the latest edition of the PocketFives recap of non-WSOP events. The final event of the Mid-States Poker Tour and Venetian DeepStack Championship Poker Series collaboration featured a $3,500 price and guarantee of $3.5 million. 1,096 entrants pushed the prize pool just over the required threshold and placed $640,062 up top for the winner. Pavel Plesuv of the Czech Republic achieved his first career major win thanks to his conquering of an eccentric final table. Plesuv defeated the likes of past MSPT Venetian winner Thomas Boivin, Season XVI WPT Five Diamond champion James Romero, Finnish pro Joni Jouhkimainen, and Justin Bonomo to ship the win. Earlier this year, Plesuv took second to Viktor Blom in the partypoker MILLIONS Germany event for $924,841. In June, Plesuv finished seventh in the MSPT Venetian $5,000 event. Small buy-ins and massive guarantees drew large fields to The Venetian for the $400 NightStack and $600 MonsterStack event. Brian ‘brianm15‘ England took down the NightStack $1 million guarantee against a combined field of 2,570 to collect his largest career score of $159,525. The night before Day 1C of the Main Event, Kalyan Cheekuri shipped the $750,000 guaranteed Monster Stack to earn $147,233 in a heads up deal with Brandon Eisen. 2,532 total runners populated the field. The Wynn Summer Classic is winding down but the rate of major prize pools is yet to dry up. Athanasios Polychronopoulos eclipsed the second $1,100 $1 million guaranteed tournament of the Wynn series and earned $231,507. Polychronopoulos chopped three ways with Phachara Wongwichit and Stephen Ma both getting $204,000 for their respective podium result. The total entries finalized at 2,197, slightly below the 2,427 who registered for the first ‘1&1’. Josh Prager won the $1,100 $200,000 guaranteed single-day on July 2 and left the payout cage with $59,386 in a four-way chop. Howard Mash, Ohian Ruiz, and Brian Hastings took part in the deal. Busting the Main Event early did Bryan Piccioli no worse for the wear. Last year’s sixth-place finisher won the Wynn $200,000 guaranteed on July 7 in a record single-day field of 689. The $129,810 earned by ‘theczar19’ is worth more than any payout he would receive in the Main Event before Day 6. The $2 million guaranteed Phamous Poker Series at Planet Hollywood drew some overlay and with it, a top-heavy deal. Three players chopped up the WSOP Main Event with all three collecting at least $250,000. Krasimir Yankov took top honors and $272,141. Raul Manazares placed second to print $265,937. Finally, Daniel Wilson took check or cash value of $250,442. A week later, Wilson is alive on Day 5 of the real Main Event.